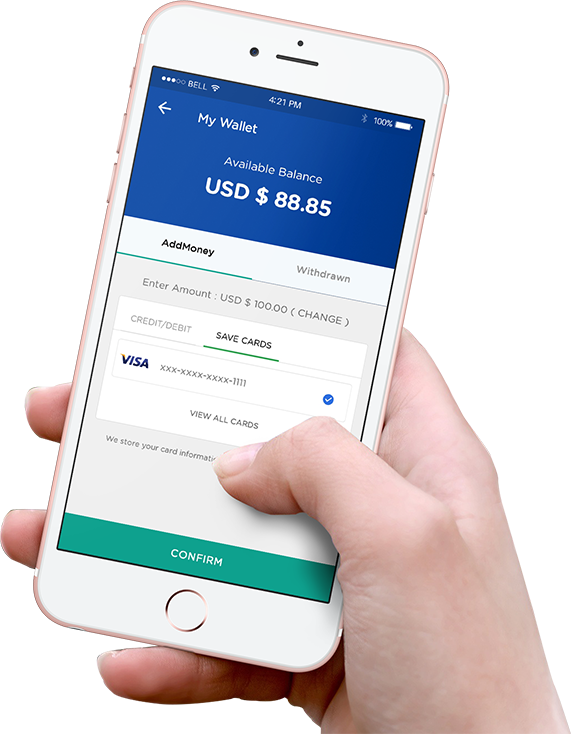 Keep your business on your palm by having your own digital wallet. It's time for any business to join the revolution. 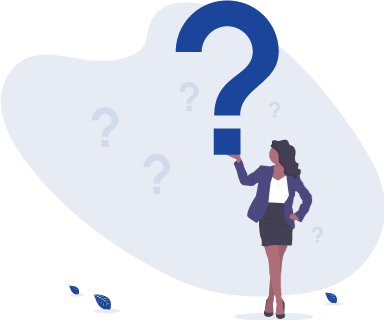 Our platform is flexible to meet the client needs. Two superb Mobile Apps - IOS & Android with 100% Source code. We provide a powerful admin panel to control the entire solution end-to-end. You can use our platform by becoming a technology partner if you do not wish to buy it. Licensing and branding will be provided under your company’s name. We’re ready to offer 24/7 support to our clients. We provide technical assistance which can be reached at any time and any day of the week. 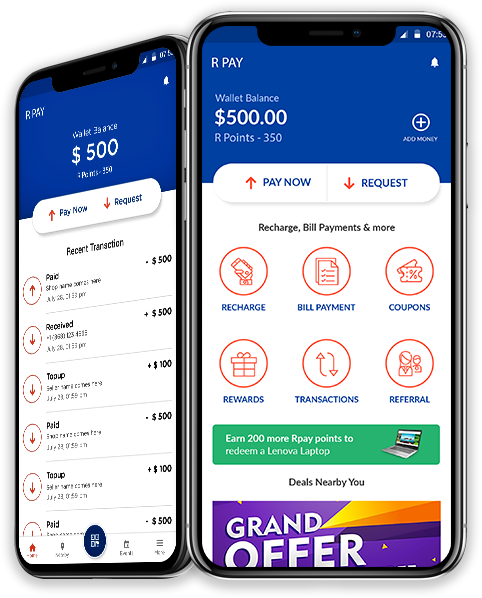 Start your own mobile digital wallet today that people can use to store money & transfer to others. 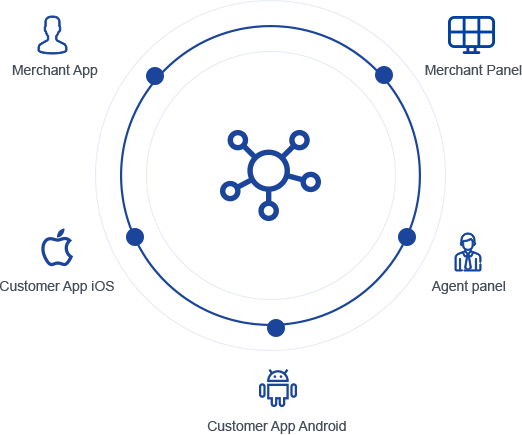 Our solution can be adapted to the sole needs of our Clients and packed with great features and integrations. 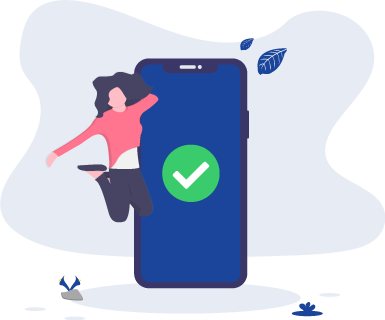 Roamsoft is software & mobile application development Company which provides a very good technological platform for start-up companies across the world. 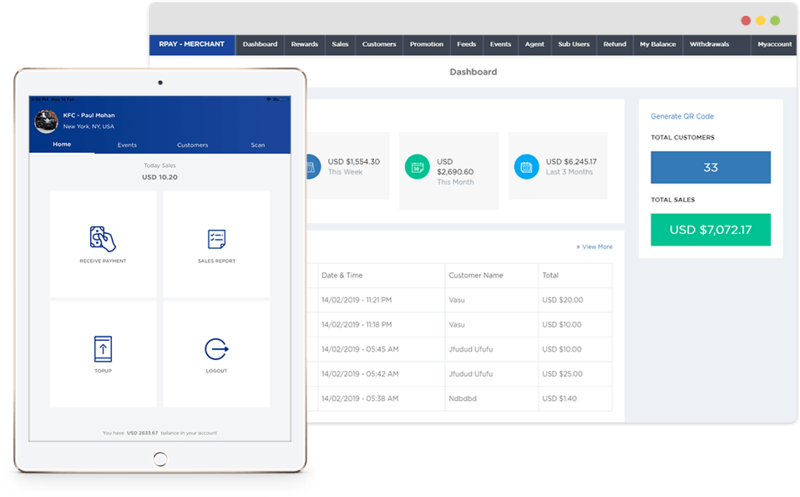 Roamsoft introduces a digital wallet platform "RPay" with customer app, merchant app, end- to- end admin panel. 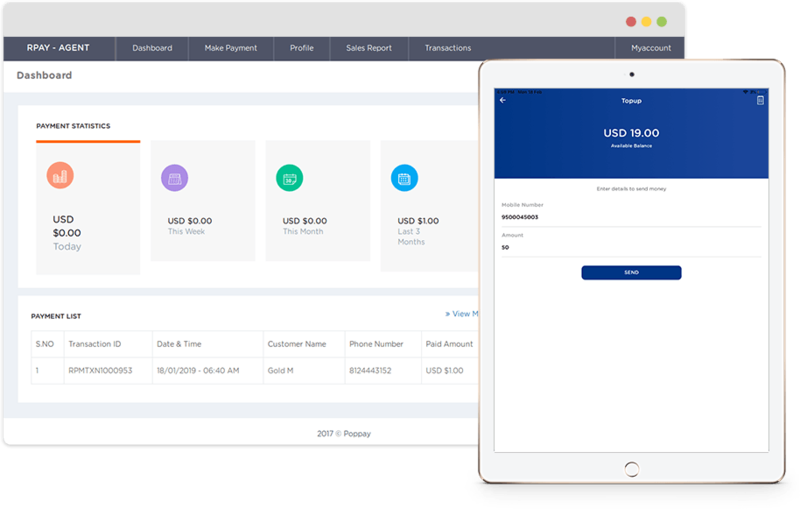 Digital wallet will be the perfect solution for requesting payments from customers digitally. 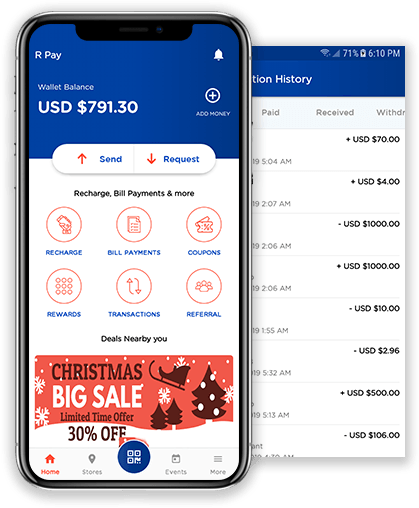 RPay wallet platform helps your businesses grow and provides features like a hassle- free sign up, load and sends money, withdraw cash, pay merchants, buy tickets, instant notification, limited liability etc. Loyalty programs can be offered to while purchasing. We will provide lifetime free support but the support will not be provided when the code is edited by the client. Is the platform open source? No, the platform is not open source. Will I get help in Installation of the platform? Yes. We will provide installation. Is it onetime payment process? Yes, this is a onetime payment process. It will be charged when you need customization. We will provide suggestions regarding server requirement. Who will provide the server? Client has to provide the server. Who will keep up the server maintenance? We will maintain the server. Is API can be integrated? Yes, API can be integrated. Are we provided third party Integration? Yes we provide third party integration. Will I get help API Provider? Who will provide play store Account? Client has to provide play store account. Who will get approval of play Store? We will take care of play store approval. Who will update the play store apps? We will update the play store apps. RPay wallet- is unique platform; that is secure, smart and easy-to-use platform, and completely disrupting the way businesses raise capital. Any questions? Reach out to us and we'll get back to you shortly.